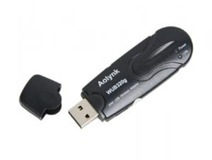 Aolynk WUB320g USB Wireless LAN Card is also Ralink RT73 series USB Wireless LAN Card. Aolynk WUB320g V100R001, 2008-1-4, Aolynk WUB320g V100R001.zip (15.12 MB), This is H3C official driver. If you need the latest driver for H3C Aolynk WUB320g , you should try Ralink RT73 series drivers. I am looking for a LAN card compatible with Linux Fedora 14 64bit.